Coriander, also known as cilantro, is a herb from the Apiaceae family. 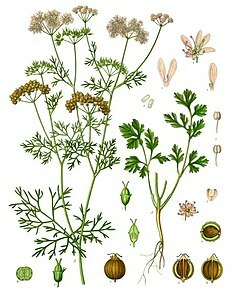 Coriander is originally from the southwestern Asia across to north Africa. This page was last changed on 5 September 2018, at 09:47.